I simply cannot say enough about Dr. James Goll. He literally is a "walking Bible" and knows the times and seasons we are in, including the many moves of God, past and present. James is one of the least boring people I know…and I mean that. He is vibrant in personality and in spirit. Mighty shifts taking place in Washington DC with judges that will be appointments by President Trump and revelation regarding a Deborah that will be appointed in the Supreme Court. 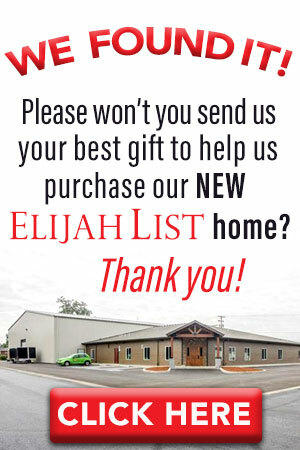 Don't miss out on this extreme revelatory episode with Dr. James Goll on Elijah Streams! I encourage you to get his products he hand-picked just for YOU to go along with his episode to take you much further and deeper with the Lord! 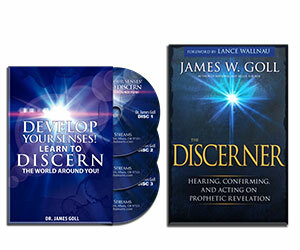 Call 866-967-3665 to order this highly-spirited package from Dr. James Goll called: Develop Your Senses! Learn to Discern the World Around You! 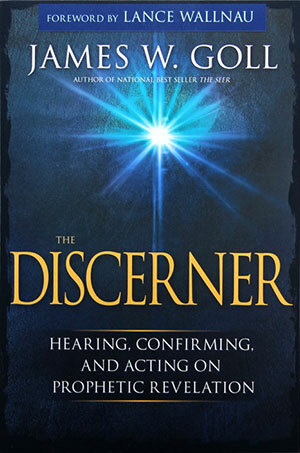 James Goll’s popular book “The Discerner” along with 3 powerful messages to take you higher than you ever thought possible! You’ll laugh and cry with James as he gives you special training!